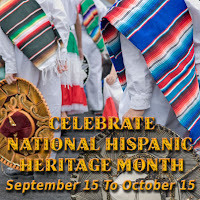 September 15 through October 15 marks the 48th annual national celebration of Hispanic heritage in the United States. 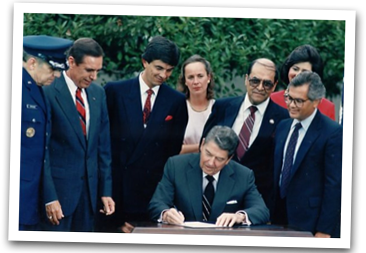 Originally a week-long commemoration of the contributions of persons of Hispanic origin, the celebration was extended to a full month in 1988 by President Ronald Reagan in order to, “celebrate the histories, cultures and contributions of American citizens whose ancestors came from Spain, Mexico, the Caribbean and Central and South America.” The observance coincides with independence days in seven Latin American countries, Costa Rica, El Salvador, Guatemala, Honduras, Nicaragua, Mexico and Chile. Over the course of the coming month, Americans of all national origins will celebrate Hispanic history and culture, and its influence on our entire nation. The National Park Service will be conducting its American Latino Heritage Initiative, aimed at better documenting and preserving historic sites associated with American Latino history. The Library of Congress is highlighting its Hispanic Americans – Service to the Nation project, which salutes the bravery of Hispanic-Americans who fought for our country in wartime. Closer to home, Illinois is honoring our state’s growing Hispanic population this month, recognizing Latino trailblazers and culminating with a special “Saluting Latino Inventors, Scientists and Innovators” exhibit at the James R. Thompson Center in Chicago October 7-11. Check back with the Caucus Blog throughout the month for more updates on the celebration of Hispanic Heritage in Illinois.